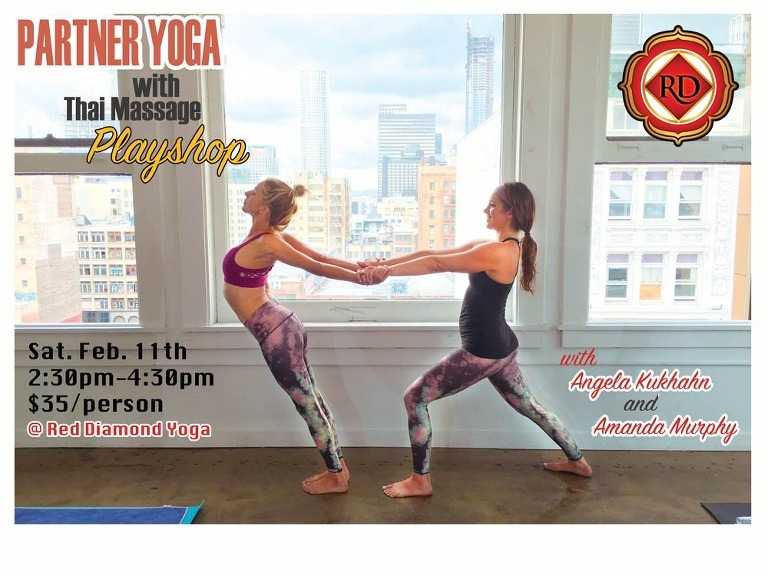 Join Angela Kukhahan and Amanda Murphy, both incredible yoga teachers, people and Thai massage therapists for an afternoon of laughter, massage, partner stretching and connection. You will be guided step by step through a simple, yet effective series of stretches and massage techniques. Thai yoga massage helps to lengthen the muscles, relax the nervous system and release stuck energy in the body. You will be surprised at how you can give an amazing massage with very little effort. Whether your partner is your lover, friend or acquaintance, this workshop promises to be loads of fun and leave you feeling rejuvenated, giddy and with a set of skills that you can take home with you when you leave. It truly is the gift that keeps on giving!